According to research by the Association for Packaging and Processing Technologies, almost a third of food processing operations already use robotics in their facilities. What’s more, half of those surveyed said they will increase their level of automation in the next three to five years. 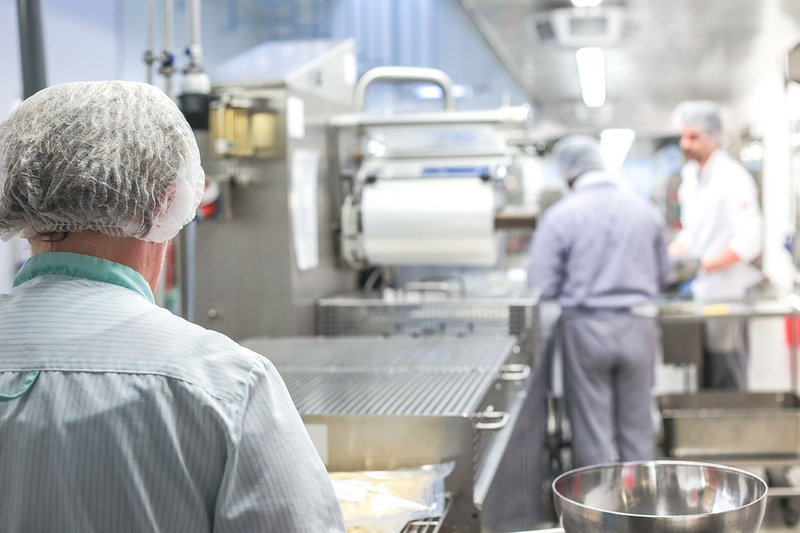 However, not every food manufacturer is an automation convert. Nigel Smith, managing director of six-axis robot distributor, TM Robotics investigates why. The industry tends to fall into two distinct camps. Those who see automation as an opportunity to improve processes, against a smaller minority who perceive it as a threat to their business. But, considering the widespread data that proves the potential productivity rewards of automation, why are some manufacturers still hesitant? A common complaint is concerns about reputation and the reduction of jobs. Many tasks in food manufacturing and processing can easily be automated — think loading, unloading, picking, placing and bagging. In fact, today’s robotics equipment is capable of completing these tasks quicker and more efficiently than a human employee could. Ultimately, the industry needs to see a shift from labour-intensive production, to production focused on enhancing the knowledge and skills of its employees. Rather than focusing on the potential job losses caused by automation, these manufacturers should instead ask how they can use their newly freed resources to their advantage. A manufacturer that saves money on labour by using automation has two options. Lower their prices or generate more profit — both of which can result in increased investment, higher demand and in turn, more opportunity for employment. But, “what about our reputation?” you ask. Frankly, Europe’s food and drink industry doesn’t have the best reputation for its use of cheap labour, particularly in wealthy nations like the United Kingdom. In fact, Britain’s food manufacturers are reliant on employing migrant workers for 30% of its staff — higher than any other industry in the UK. By reducing the number of menial roles on the factory floor, this reliance on imported labour is also reduced. Put simply, automation isn’t replacing jobs, but paving the way for better ones. It is vital that food manufacturers make this clear when deploying automation into their facilities. Automation doesn’t only improve the quality of jobs on the factory floor but improves the working environment for employees by reducing the likelihood of injuries. According to the Health and Safety Executive, over 30% of injuries reported in the food and drink industry are related to manual handling. A striking figure, when you consider approximately 120,000 people working in the sector are injured each year. Many of these injuries are related to packaging, boxing and unboxing. Manual handling related injuries include accidents that occur when packing products, pushing wheeled tacks and stacking or unstacking containers such as boxes and crates. However, all these tasks are easily automated. Take bin picking as an example. Using a six-axis robot with advanced 3D vision software, the bin picking process becomes fully automated — and cycle times can be as fast as 0.7 seconds. Without automation to complete this, human operators would be required to manually pick items from the box and place them onto the next part of the manufacturing process — a seemingly safe task, but one that carries manual handling risks. Rather than risk it, automation can also be used before this process by using a robot box opening solution. The Intelligent Box Opening Device (IBOD) is just one example of this kind of automation. Automatically measuring the size of every case or box that comes into the facility, the system can automatically find the programmed cut lines. The machine is capable of cutting up to 750 boxes per hour — all without requiring a human employee to handle a blade. By automating this process, food manufacturers can completely eliminate the chance of employees being cut or injured by a blade while on the factory floor. Ultimately, the more processes that are automated, the lesser the likelihood of injuries. Automation has been an essential part of manufacturing since the first six-axis robots were introduced to automotive production in the 1960s. Since then, a growing number of sectors have embraced the technology, including food processors. However, as automation and robotics continually become more affordable and accessible, we’re likely to see an even more widespread uptake of this equipment. Whether you’re an automation sceptic or enthusiast, there’s no doubting the rise of the robots. The only thing to make sure of is that your facility doesn’t get left behind.